DockerCon is Docker’s annual conference. This conference is usually when Docker lays out it’s strategy and roadmap and announces new products, services, alliances and solutions. This year it is being held April 29 – May 2nd. Neil Cresswell, CEO of Portainer & CTO of Emerging Technology Partners will be attending DockerCon. Neil will give us a download and debrief from DockerCon. Learn, Collaborate & Dockerize! Meet other developers and ops engineers in your community that are using and learning about Docker. Docker is an open platform that helps you build, ship and run applications anytime and anywhere. Developers use Docker to modify code and to streamline application development, while operations gain support to quickly and flexibly respond to their changing needs. Docker ensures agility, portability and control for all your distributed apps. 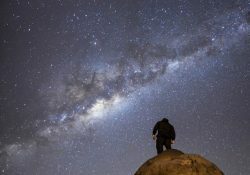 Due to popular demand Museums Wellington are running a second Stargazing Workshop on Sunday nights. New Zealand has some of the absolute best skies for stargazing in the world. This five-week Sunday night course is for people who look up at our skies and wonder which stars are twinkling back at them. No prior knowledge is required – just a desire to know more about the skies and how they are used in everyday life including navigation. The course has limited numbers so bookings are essential. It is suitable for ages 10 and up. Take the opportunity to walk through the gardens or Tournament parking is available at the top of the Cable Car. Professor Rangi Matamua is Associate Dean Postgraduate at the Faculty of Māori and Indigenous Studies at the University of Waikato. 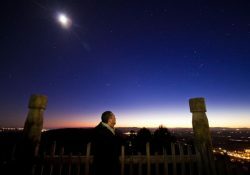 He is also a leading expert on Maori astronomy, and as the author of the bestselling book, ‘Matariki the Star of the Year’ he travels extensively throughout the country and internationally speaking about Matariki. Registration of individual events are above (in the When and Where section) or on the Royal Society website. GeyserCon 2019 is New Zealand’s 40th National Science Fiction and Fantasy Convention! We hope you’ll join us in Rotorua on Queen’s Birthday weekend (May 31st to June 3rd 2019) for awesome fandom discussions, panels and presentations, a huge bookstore open every day including Monday, a raffle with amazing prizes, the Young Writers’ Workshop, the Costume Masquerade competition, the prestigious Sir Julius Vogel Awards, and so much more! The Young NZ Writers’ Day Out (on Friday 31st May 2019) will have a full day of writing workshops aimed at intermediate and secondary school students. To warm up to the day we invite young NZ writers to enter into our 2019 annual writing competitions for intermediate and secondary students (opens 1st of February and closes midnight on 15th March – check our website out for more details). Finalists will be awarded prizes at the book launch at the end of the day. For the first time there will even be a special writing event for our youngest writers in years 5 and 6 (only open to local Rotorua Primary schools) and PD opportunities for teachers who attend. 3-5 Streams From Friday evening to Monday Morning. Various other tickets options available. 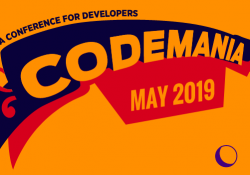 Now in its eighth year, Codemania is Auckland’s premier conference for software developers, with fantastic speakers from New Zealand and around the world. Join us on Wednesday May 15th, 2019 at the luxurious Cordis Hotel for a full day of information and inspiration from software practitioners at the top of their game. If one day is not enough for you, you can also join our world-class speakers and an exclusive gathering of your Codemania friends for two further days after the conference. Codemania Conversations returns to the Waitakere Estate, deep in the heart of one of Auckland’s most picturesque bush settings. This two-day unconference is an opportunity for you to create your own agenda, and spend quality time with our speakers.